You know what goes really nicely with my Marc Jacobs bag? 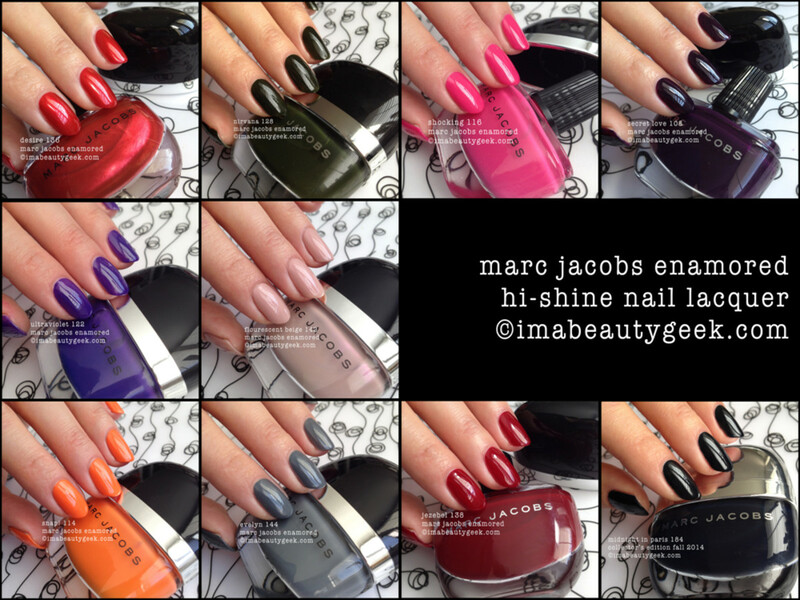 Marc Jacobs Enamored Hi-Shine Nail Lacquer! My bag is black. I love my bag. It goes splendidly with all the MJ polishes! When I do massive swatch posts like these I’m never really sure where to start so what I’ll do is go numerically so it doesn’t look like I’m playing favourites. And really I don’t have a favourite ’cause I like ’em all. 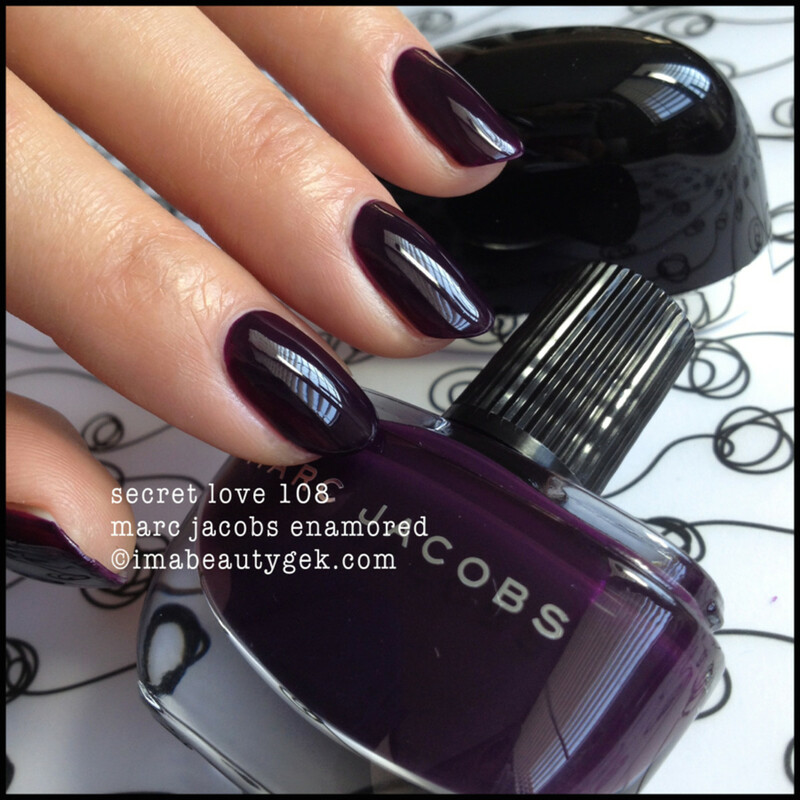 above: marc jacobs enamored secret love 108. We could talk about this highly plasticized glossy kind of finish that you get with pretty much all the MJ polishes or we could just look. Yes, let’s just look and cue the unintelligible Ooooh.. Aaaah noises, okay? 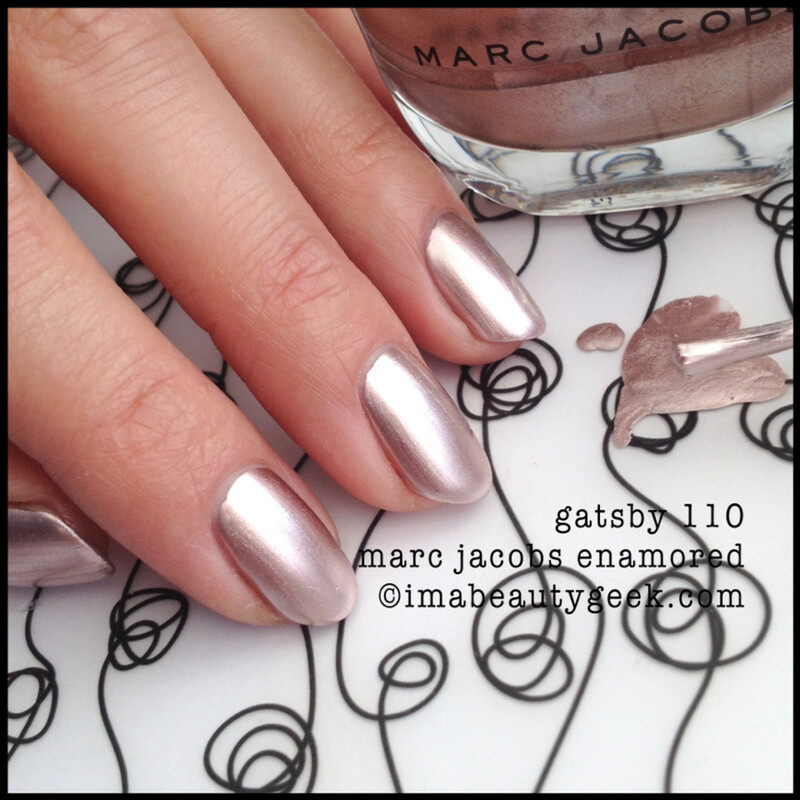 above: marc jacobs enamored gatsby 110. Noooo!! Man down! This happened during transit and when I opened the package, I swore it smelled like something had broken so I deboxed all the shades and looked for breakage. I couldn’t find any so I forgot about it until I popped the silver-striped black cap on Gatsby and discovered a Polish Lover’s Nightmare. But it’s okay! That silver-striped cap kept the air out! I can still use it.. I think. 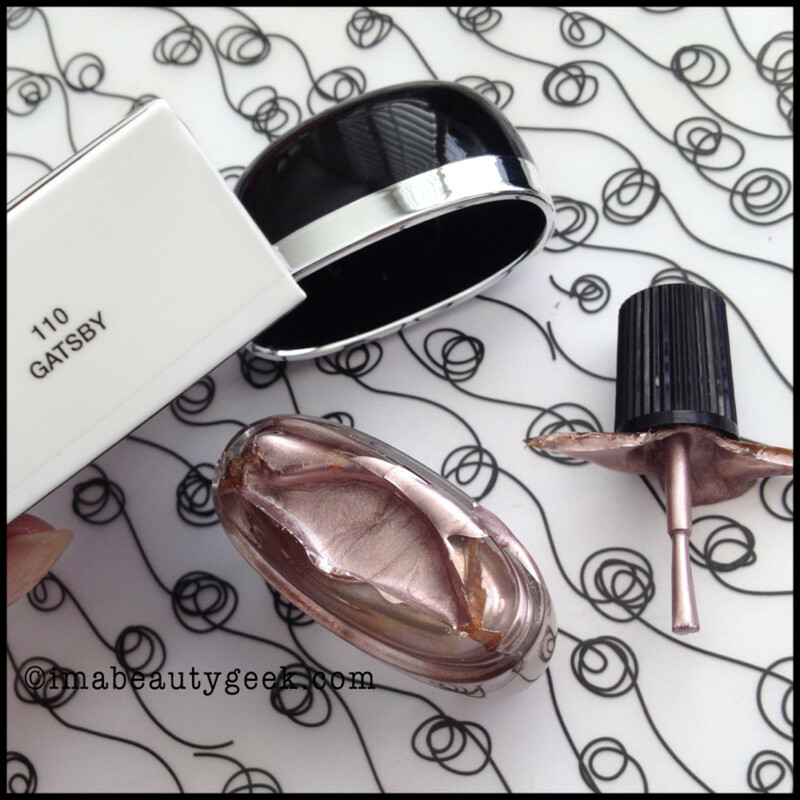 above: marc jacobs gatsby. Wow. That’s incredibly non-streaky and beautifully chrome-y, huh? I had to work pretty quickly and what you see there is one single rushed coat (over Nicole by OPI Quick Dry Top Coat) where I tried to keep tiny glass slivers offa my paint job. I tell ya what though, I really, really like this shade. I like it so much I dumped out an OPI mini and saved what I could. Next time I go to the beauty supply store, I’m buying myself some full-sized empty bottles. Yep. above: marc jacobs enamored snap! 114. Aw, yeah!! Lookit that orange! Snap! Two coats of that highly plasticized polish to make your nails look all kinds of awesome. above: marc jacobs snap! mattified. But wait… I wonder how it looks if I slap on a coat of my current favourite matte top coat (L’Oreal Paris Color Riche Matte)? Ooh. Interesting! above: marc jacobs enamored shocking 116. Gah! Too much awesome! That’s two coats and no top coat. Gimmie that hot bubblegum pink. Give it to me. above: marc jacobs shocking mattified. Talk about a whole different kind of look, right? Would you matte? above: marc jacobs enamored oui! 118. Wow, the metallic magenta-violet is a little off in this here photo but that’s probably because I took it a long time ago with an older iPhone. Still, you get the idea of how in-yer-face Oui! is, right? It might be my favourite MJ polish of ever. Yep, I said that. I do have a favourite. above: marc jacobs enamored delphine 120. I love this shade for fall. It’s like a mocha-cappucino on my nails! 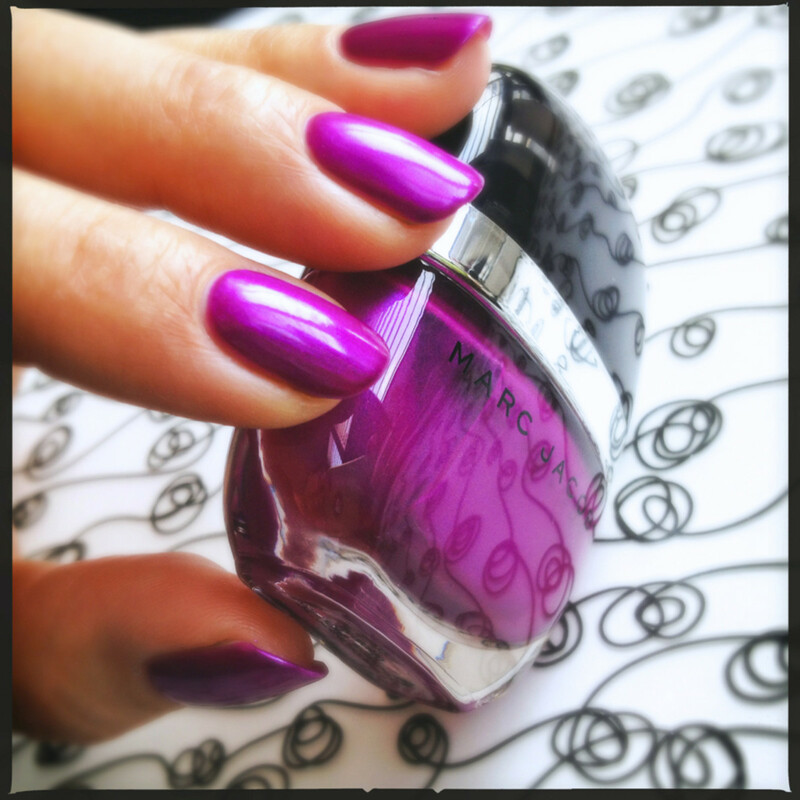 above: marc jacobs enamored ultraviolet 122. Two coats, people. Just two thin ones. I should have used two thicker ones ‘cause she came out a little patchy. And she’s perfectly named, right? 100% violet. above: marc jacobs ultraviolet mattified. Check it out! When you make matte with it, the patchy doesn’t even show up! How cool is that? And wow, apparently I didn’t take all the Shocking offa my thumb-part before I started swatching this one. You didn’t even notice though, didya? above: marc jacobs nirvana. You get to this result. For real. That’s the second coat over that hot streaky mess you thought I’d made with the first coat. 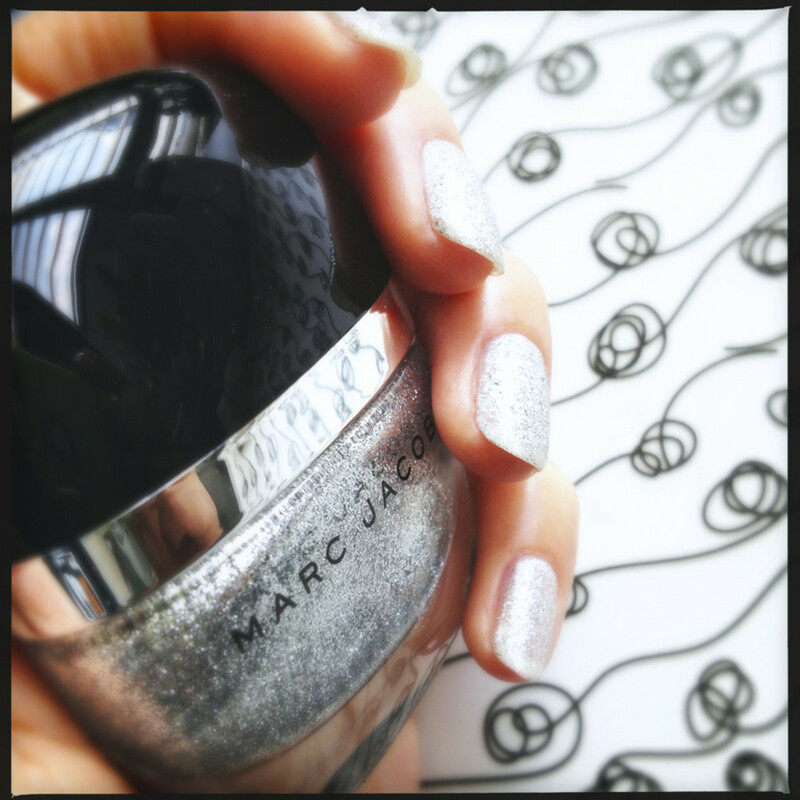 That’s just the way of the Marc Jacobs Enamored polishes. They pretty much all go on like that. It can make you think it’ll never look good but the coverage with the second coat will bring it all together like magic. Trust. 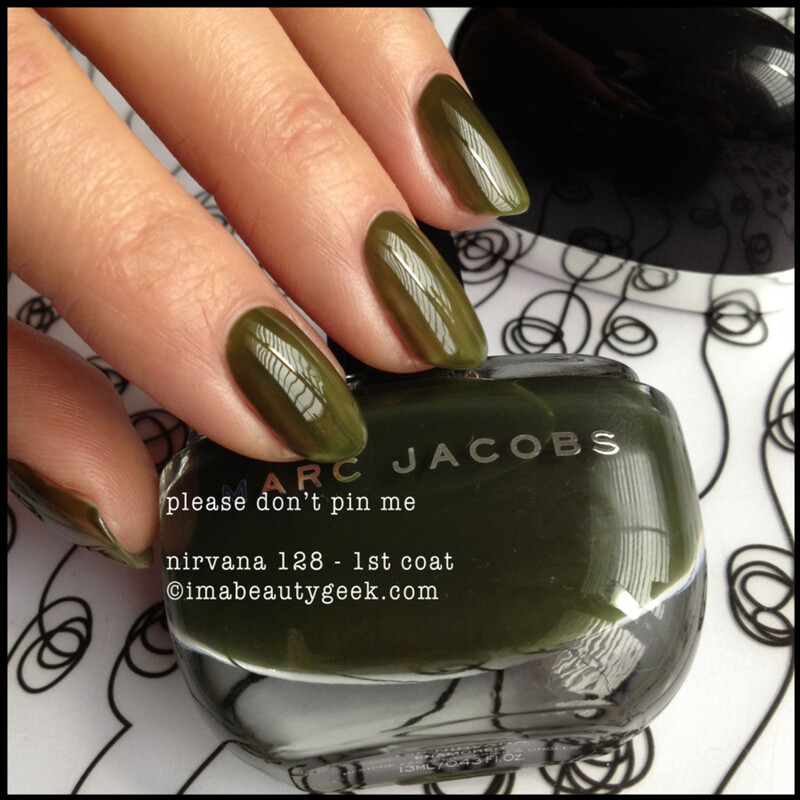 above: marc jacobs nirvana mattified. Remember when I said that other shade was my favourite? I lied. I love this one better. It&apos;s kinda neat the way the matte coat brings the shade back to match the way the polish looks in the bottle. above: marc jacobs enamored desire 136. I didn’t get a chance to play in very many of the metallics from this line but oh mah lawd! Lookit that pigment! Lookit that shine! Lookie that awesomeness!! 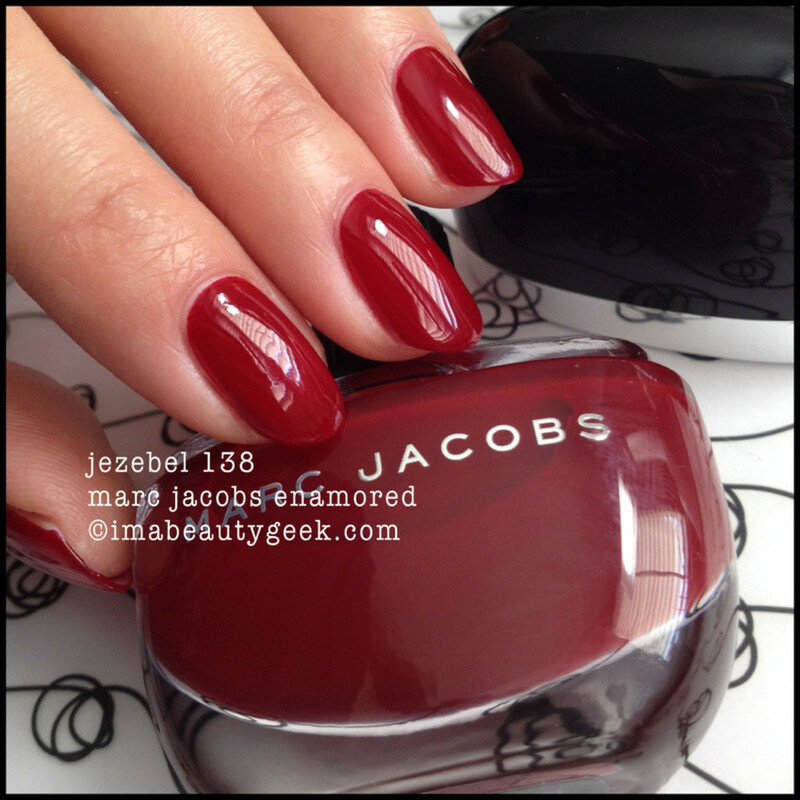 above: marc jacobs enamored jezebel 138. Ta da! It’s my least favourite shade! You know why? No, it’s not because of the formula – it’s because it gives me big time lobster hands. These burgundy wine shades of red are über-notorious for that so I don’t wear them often. I like the colour in the bottle though. It’s all kinds of holiday. 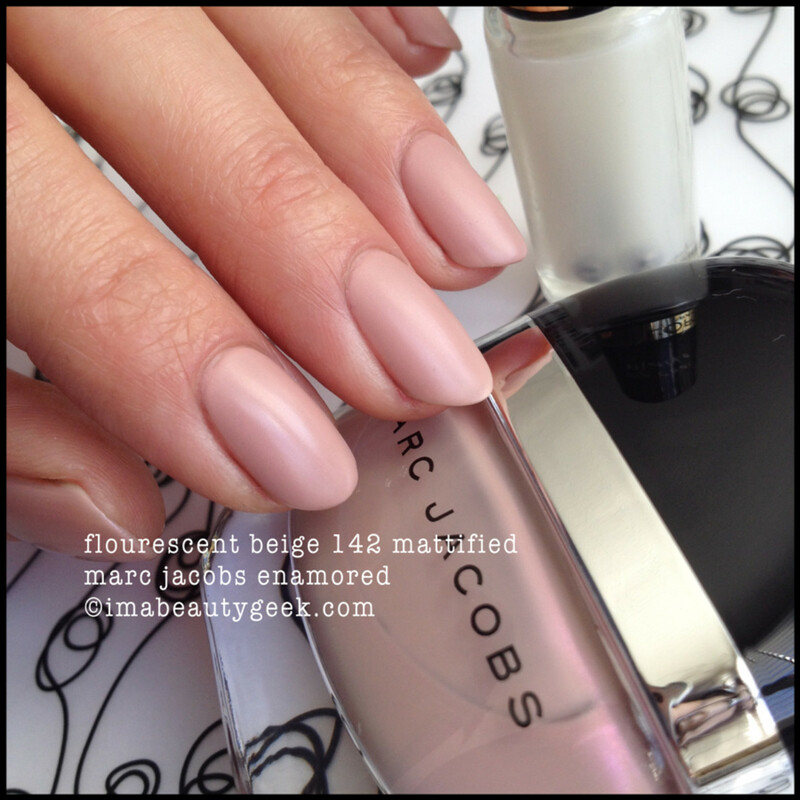 above: marc jacobs enamored fluorescent beige 142. There’s a pearlescent shimmer in the bottle that translates to the nail in a nearly invisible way. It lightens, brightens, and give this neutral a little depth. She’s pretty for a nudie. 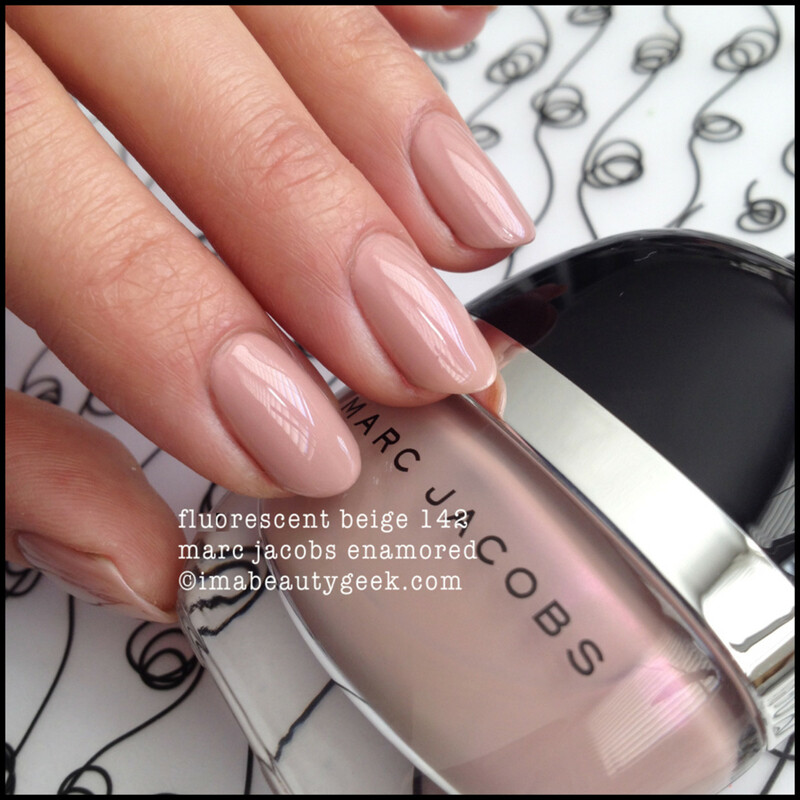 above: marc jacobs fluorescent beige mattified. 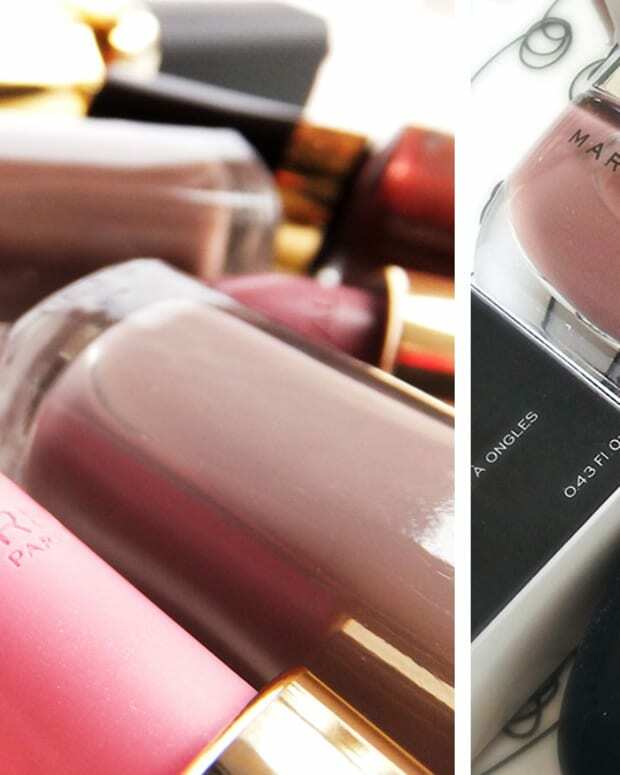 There’s a trend that’s happenin’ and it’s all about mattifying nudes. I like it. In fact, I think I like this shade more in matte than in high-gloss. You? above: marc jacobs enamored evelyn 144. I love grey polish. I just do. I can’t help it. This one, with it’s plasticized-resin-whatever is in there hi-gloss finish is no different. It’s a very moody grey and I’m going to keep it forever. above: marc jacobs evelyn mattified. You want this now. I can tell. above: marc jacobs enamored glinda 148. Hallo holiday sparkly confection! You’re sure glittery in a blinding sort of way! In fact, this here shade of silver sparkle is one of my top 5 silver shades ever. True story. 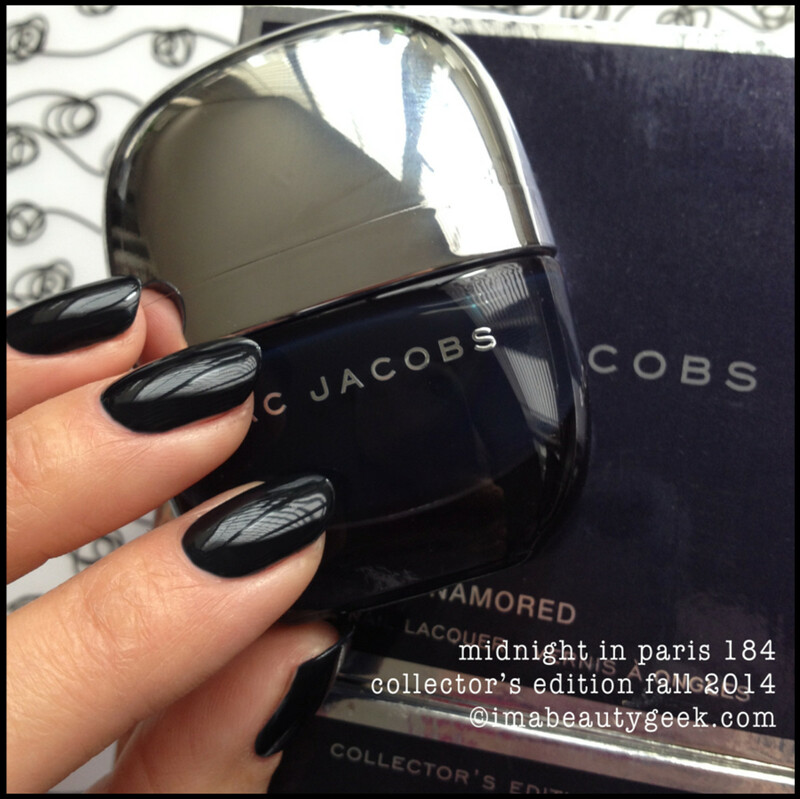 above: marc jacobs enamored midnight in paris 184. And what do we have here? Well it’s a “Never Before. Never Again. Runway edition. 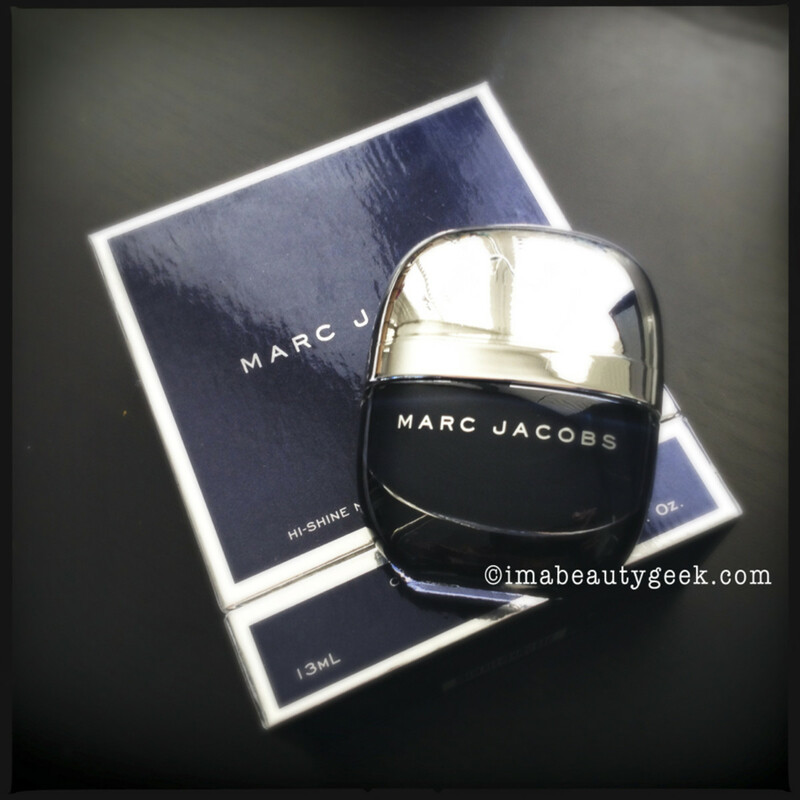 Collector’s Edition of Marc Jacobs Enamored”. It says all those things on the box which means it’s special and if you’re a fan, it’s a must have. Packaged like fragrance, this limited edition bottle has a silver cap and a little booklet inside that’ll make you smile. Did I shoot the booklet? Nope. I’ma leave that for you discover all by yourself. 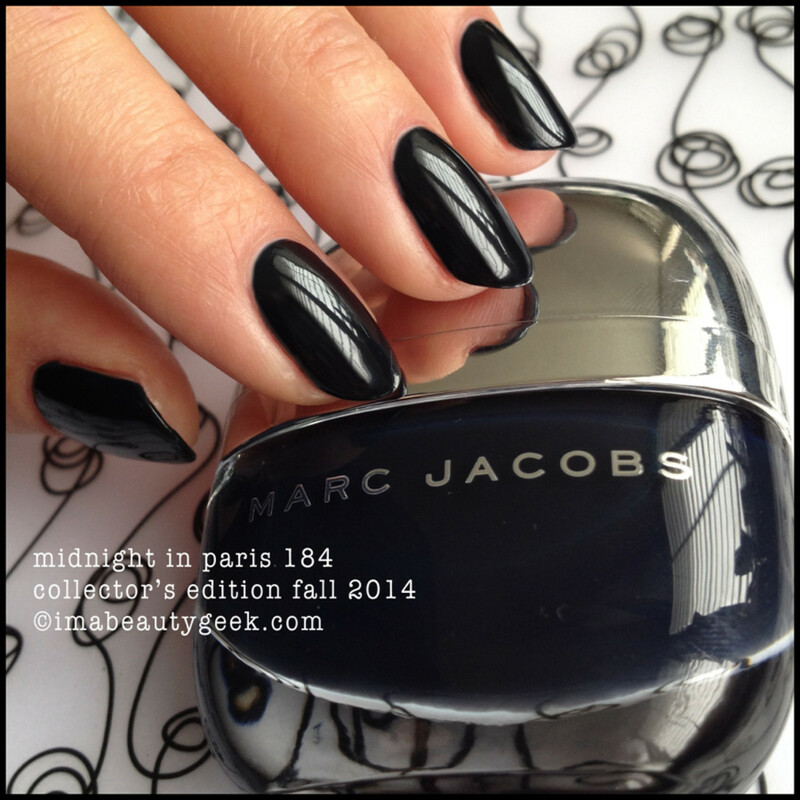 above: marc jacobs midnight in paris. But I shot the shade for you! And yes, it looks almost black. Was I disappointed? Yep. I wanted it to be the deep dark inky blue on the box. Alas, it was not to be. At least I still have the beautiful box and limited edition polish though! A girl can be 100% happy about that. For real. You know who else got themselves a bottle of Midnight in Paris? My pal Jessika over at Polish Insomniac. She painted it up right pretty too and I think you’ll like what you see. By Reader Request: A quick comparison swatch of Marc Jacobs Ultraviolet vs OPI Do You Have This Color in Stock-holm? Just for you HareThere - and wow, good eye on ya! 98% similar. MJ is a little teeny tiny bit brighter but if you wore both shades on one hand, nobody would know they were different &apos;cept maybe you. Okay fellow polish junkies, that’s enough for one day I think. Now it’s time for you to go shoppin’ for yourself or all your polish-lovin’ friends. There are 33 shades of Marc Jacobs Enamored ($22 each at sephora.ca and $18 each at sephora.com). The Midnight in Paris Collector’s Edition is also out now ($30 at sephora.ca and $24 at sephora.com) and is limited edition, so click now or pay $95 for it on eBay later. Manicures and photographs by Karen Falcon (she thinks Borderlands 2 was better than the Pre-Sequel) ©2014 BEAUTYGEEKS/imabeautygeek.com.